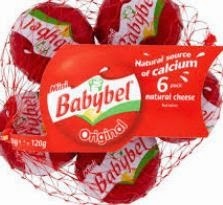 The Frugal Family Life: New $1/1 Babybel Cheese Coupon! There’s a new coupon for $1 off any One Mini Babybel Cheese Product! This will double to take $2 off of ONE package! We love this cheese around our house! Also, there is an older link for a $1/1 Mini Babybel Cheese coupon if you haven’t already reached your print limit!